Nearly 75% of all people say that they sleep much better after doing this; what is it? Nearly 75% of all people say that they sleep much better after spending an evening cleaning house! 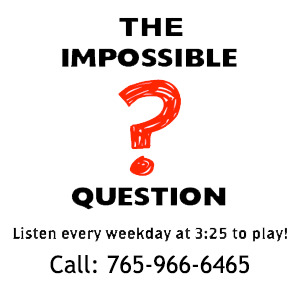 Congratulations to Isaac Van Winkle of Richmond for being the first to answer the Impossible Question!